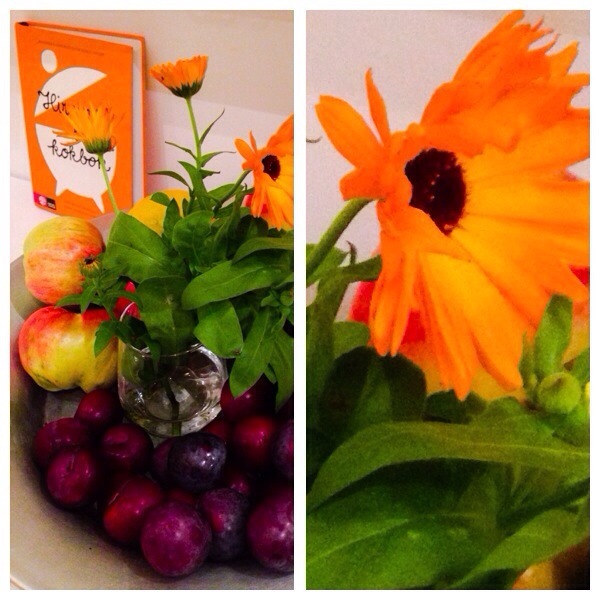 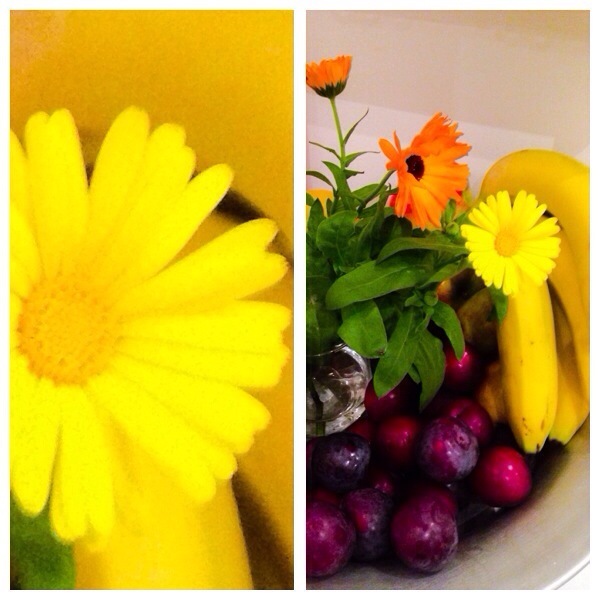 Got a little autumn bouquet and put it in the fruit bowl. 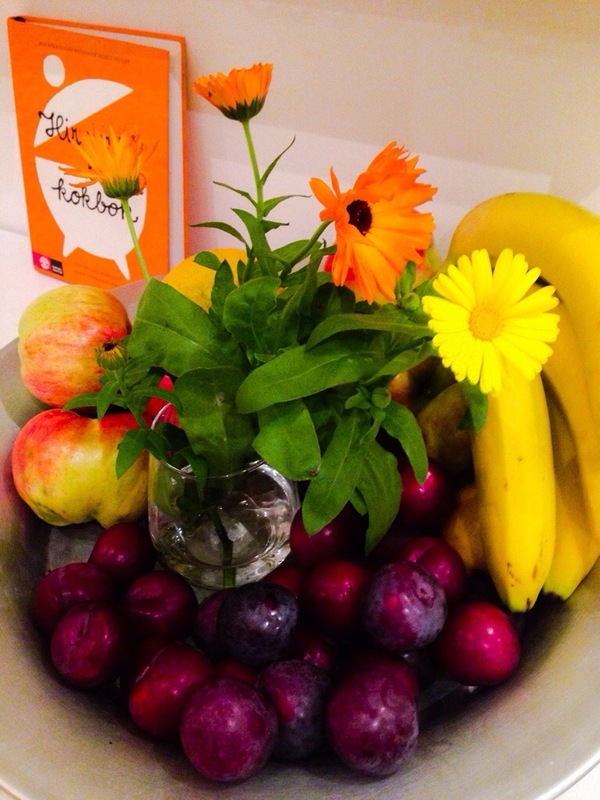 It looked really nice and the colours warmed up, together with my favourite cook book, my white and blue kitchen. 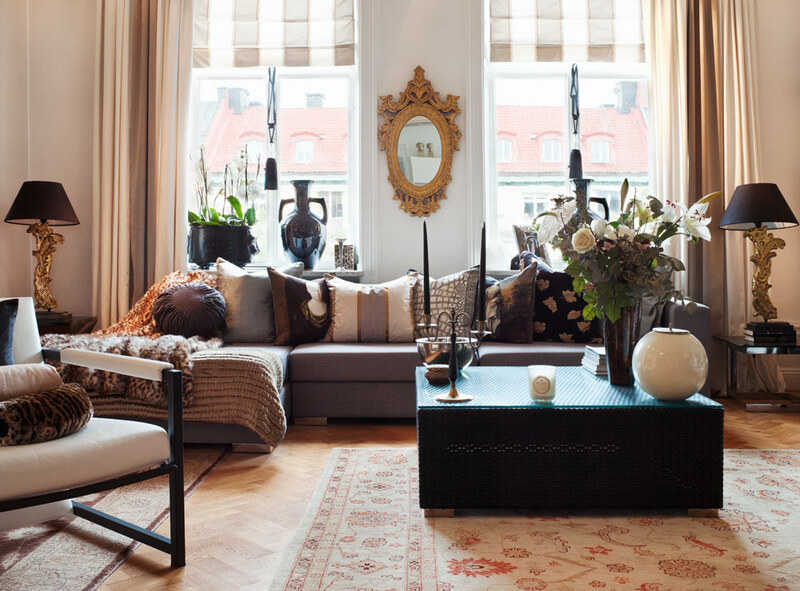 A little spot in red tones can change an entire room.